The Abbotsford Gogos invite you to some games, fun and frolic at a spring luncheon and fashion show for women of all ages. This event will include a sale of handmade signature “gogo” tote bags, wine totes and more. Fashions are being provided by Suzanne’s. Tickets $35. Contact Lindsay O’Dwyer, 604-744-1663. Abbotsford Gogos raise funds in support of African grandmothers in sub-Saharan Africa. 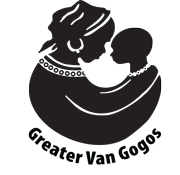 These funds go to the Grandmothers to Grandmothers Campaign of the Stephen Lewis Foundation and will help provide health care, shelter, bedding, food, clothing and school fees for children orphaned by AIDS.